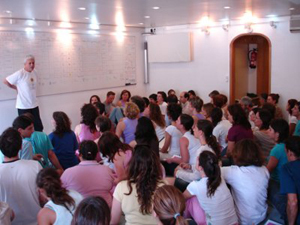 Yoga Lusa Federation from Portugal - Meditation, Relaxation, Chakra, Yoga Master, Yoga Classes, Yoga Training. 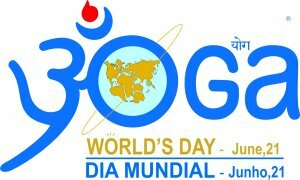 World Yoga Day. Yoga Poses. Within the highest standards of technical excellence and seriousness, FLY discloses the Primeval and Ancestral Yoga, clarifying the origins of Yoga, as a theoretical and practical Philosophy, extensive, complete and complex, as the Human Being and the Universe, clarifying that the micro cosmos is inserted in the macro cosmos, working in all aspects of Human Development , forging an equitable and Nature friendly Human Being; promoting Health and Sustainability, fomenting Scientific Research, namely Astronomy, Astrophysics, the study of Sound, Anatomy, Physiology, Psychology , Historical and Archeological Investigation and underwater Archeology. Also clarifies that Yoga is not related with religion, sects, hypnosis or healing methods. 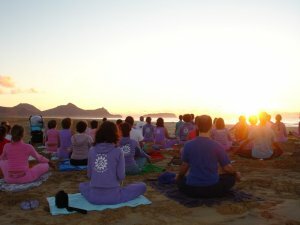 The Yoga World's Day, is promoted every year by the Yoga Portuguese Confederation, Yoga Lusa Federation and the Yoga Lusa Association, gathering every year hundreds of Yoga practitioners, National and International Yoga Schools, the main Religions and Political parties as well as known Personalities, from North to South, amongst adults and children, that gather to support this Day. The Yoga Lusa Federation - FLY is a non Governamental and a non profit Organization. 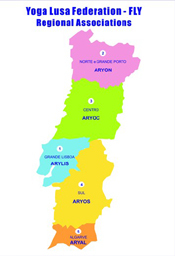 It´s territorially organized and sub divided in five Territorial Regions, having he following affiliated Associations: Associação Lusa do Yoga, a Associação Regional do Yoga do Norte e Grande Porto, a Associação Regional do Yoga do Centro, a Associação Regional do Yoga de Lisboa e Supra Continental, e a Associação Regional do Yoga do Sul, a Associação Regional do Yoga do Algarve. The Primordial Yoga , more than 6.000 years old (when only ONE Yoga existed - at the beginning Yoga was called Sámkhya – without compromised power or modern simplifications), preserved over the last millennia in the Indian Himalayas and with older vestiges in the Indus Valley.